Talking to the founders of Ogden's latest record shop. Gavin: Hey Kylee and Blake! First off, tell us a bit about yourselves. Blake: We’ve both worked in record stores for about the last 10 years. 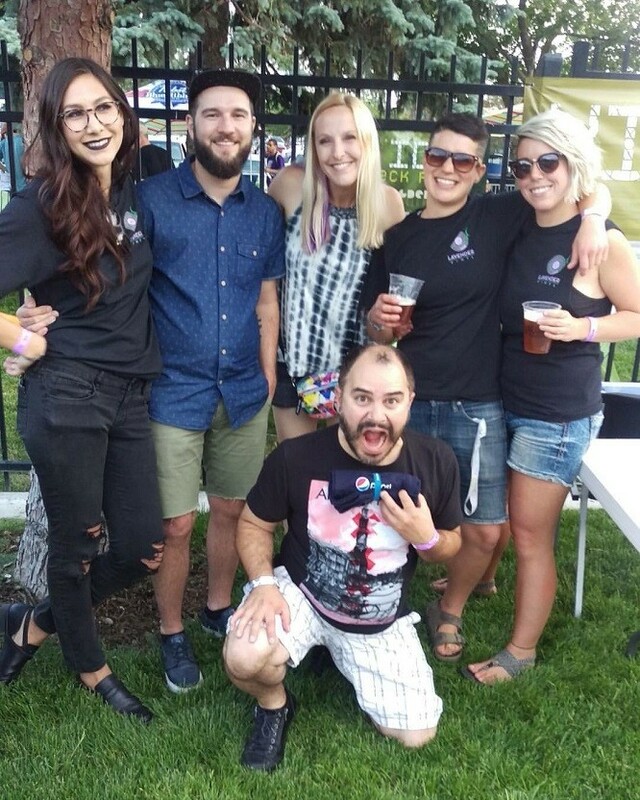 We have a passion for music and also a love of our community in Ogden. We both grew up with music as a big part of our lives, and wanted to continue that love as our work, while making a place for our friends to bond over music. How did you each get into music, and what did you listen to early on? Kylee: I grew up with music lovers. Both of my parents were very involved in music in different ways. My dad grew up in the '70s, and therefore, I was raised on good rock n' roll. My mom was an elementary school music teacher and has a great appreciation for music composition and theory. Music has always been a big part of my life. Blake: Skateboarding is what got me into music. I loved the first two Tony Hawk games especially. Anything on those soundtracks is what started me in music. I started to make music with my friends and play in a band. Then I started working at Graywhale when I was 17, and music has always stayed with me. What music are you currently digging on as we speak? Kylee: Right now there are a few things we’re really digging. The first would be Marissa Nadler’s Strangers, also Muscle and Marrow's Love, Kaytranada's 99.9% and the latest Radiohead album, Moon Shaped Pool. The latest from Blood Orange album, Freetown Sound, is blowing me away. When did the two of you first meet? Blake: We met in 2009 when we started working at Graywhale together. We worked together for six years. We definitely bonded over music about a year into our work relationship. We started hanging out with a whole crew from Graywhale and then pretty soon we were hanging out all the time. We’re very interested in a lot of the same styles of music, so we definitely nerded over that and introduced each other to a lot of great music. Our friendship goes thick but it most certainly started with a love for music. Kylee, What was your time like at Graywhale while you were there? Kylee: Blake started there in 2006 and me in 2009. Sometimes we laugh with our Graywhale crew about them being our parents, and Lavender Vinyl being a child of it. We learned so much from that job. 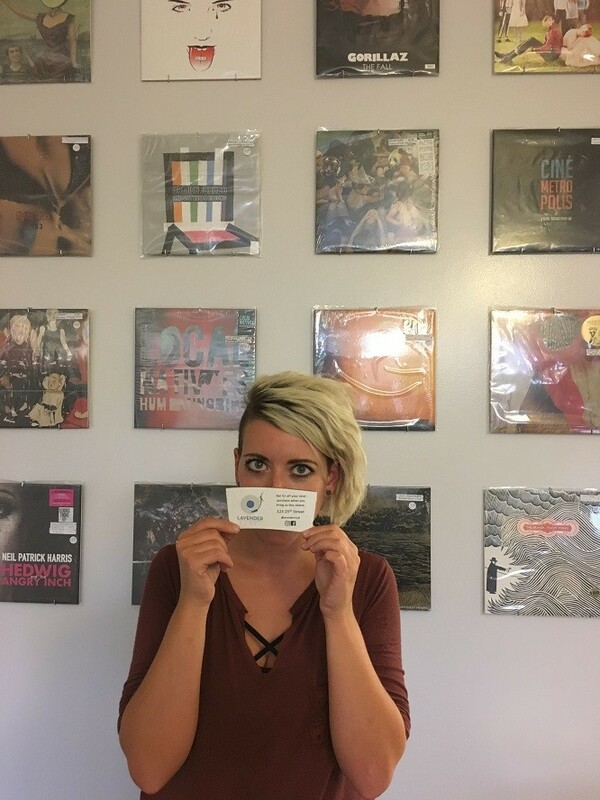 One of the best things about management at Graywhale is that it gives it’s employees opportunities to be themselves and to learn the hows and whys of a business. 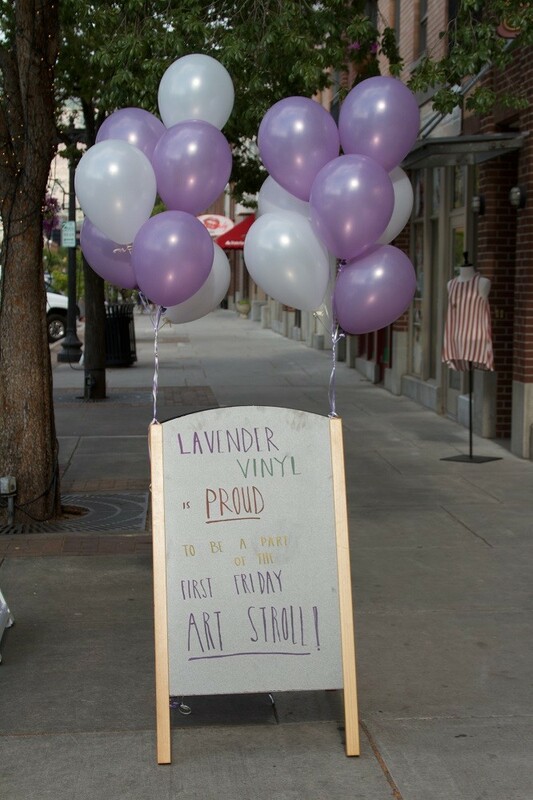 They’ve been incredibly supportive of Lavender Vinyl. 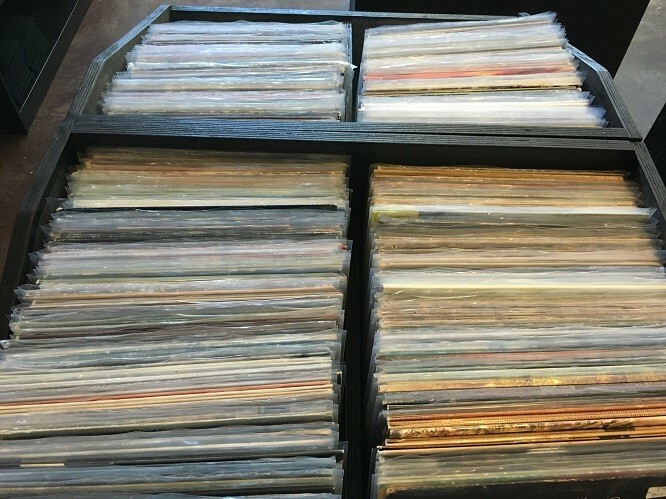 When you work in record stores your whole working lives, you quickly learn what’s common, what’s a real treat, what people are looking for and what avenues you have to acquire what people want. How did the idea come about to start your own shop? Blake: Starting our own shop was something that we always dreamed of and never really thought of it as something that could be a reality. Most people want to be their own boss and make their own rules. The difference between us and everyone else is that we finally decided to really do it. And guess what? We still don’t know what we’re doing. We’re just working it out as we go. The real deciding factor for us opening was that we both wanted to move forward with doing what we love. As much as we loved our jobs and work families, we wanted to build something that we could eventually rely on as our income. When Kylee graduated from Weber State this Spring, we let the green light go and busted until this place could come to fruition. What made you choose Ogden for the location? How did you find the spot on 25th Street? Kylee: Ogden is our home. We’ve both lived here for the better part of our adult lives and we very much consider ourselves as part of the community. We know the community. We’re friends with the business owners. We wanted to create sort of a niche record store that welcomes our patrons by name. We wanted to create a place where we could make new friends and invite the friends we already have to hang out here. We really see it as a community space that welcomes all art types. We looked at a bunch of different spaces, and the minute we walked into the space here on 25th Street, we knew it was right. We love the vibe down here and have heard from multiple customers that a record shop is just what 25th needed. That’s kinda how we felt when we started looking down here, and things worked out just how we wanted them to. 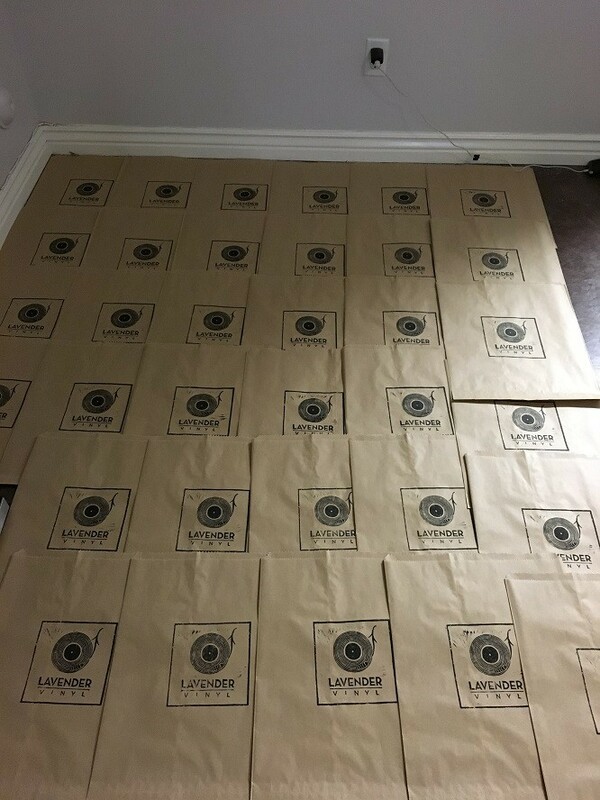 What was it like converting the old Mission shop into a record store? 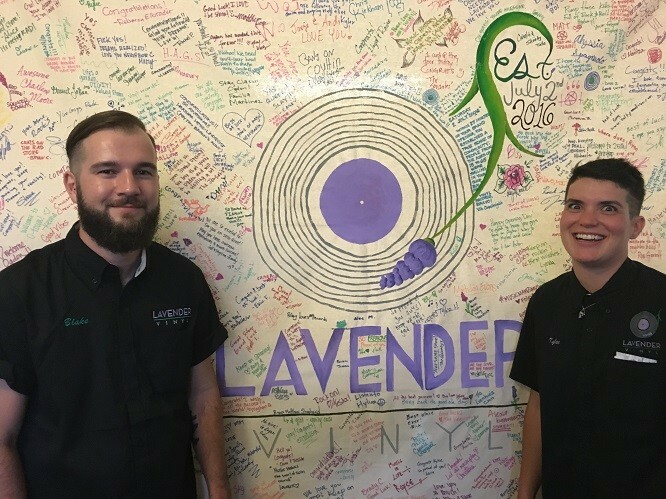 Blake: Converting the old Mission shop into Lavender Vinyl was actually really awesome. Our landlord is super cool and had it painted for us before we moved in. We really lucked out with our neighbors and our landlord, who believes in us and really wants to help us succeed. We had a lot of fun personalizing our store, but we pretty much got it as a blank canvas. How did you go about deciding what to keep in stock? Kylee: I feel like we both have a pretty good idea of what people are after. Throughout the entire week, we’ve been asking our customers what they’d like to see, to make sure we’re on the right track. What we have in stock right now is a lot out of our personal collections, because that was the best way to get started. Blake is well-versed in metal and experimental music. I'm a huge fan of hip hop and electronic. We cover these genres well, and really try to include everything else too. What was the grand opening like for you and those who came in? Blake: The grand opening was bigger and better than we could have imagined. It was shoulder to shoulder in here pretty much all day. We were received very warmly, to say the least! It was awesome because a couple local restaurants (Lucky Slice and Kaffe Mercantile) donated food and drinks to us and that definitely brought in even more people. We also decided to open up on a Farmer's Market day, which runs along 25th Street, so the foot traffic was super heavy anyways. We had a fantastic day, and [it] really encouraged us that we were doing something everyone was excited about. Do you plan on holding live events and doing release shows down the road? Kylee: We certainly plan on doing live events. We have an incredible partnership with Kaffe Mercantile, who has generously donated their space for a venue for our shows. We will be doing our bigger shows there, and then plan to do some smaller acoustic in-stores. 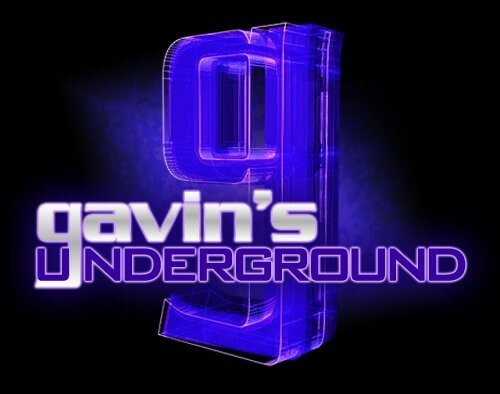 We’ll have updates on this soon as we are working to solidify some exciting plans. Do you do any special orders, or just keeping it to what you want to bring in? Blake: We absolutely do special orders and actually really encourage them. We have direct with quite a few labels and are dedicated to finding what our customers want. We also have a wish list feature where we will take down name and number and call you if we come across that one super-rare thing you’ve been after! As a record shop, what do you hope to bring to the city and its music scene? Kylee: We’re so stoked to be in Ogden, and we hope to contribute a lot to the music scene here. We’re sponsoring local music and visual artists because we think those things go hand in hand. We have a series in the works at one of our favorite coffee shops. We are working with some of the other business owners down on 25th to bring together some local music projects. I feel like Ogden has a sense of community like nowhere I’ve ever been, and we want to add to that community by giving artists of all kinds a place to showcase their art and talent. We will continue to partner with other community members and organizations to create environments and events for these artists to flourish. 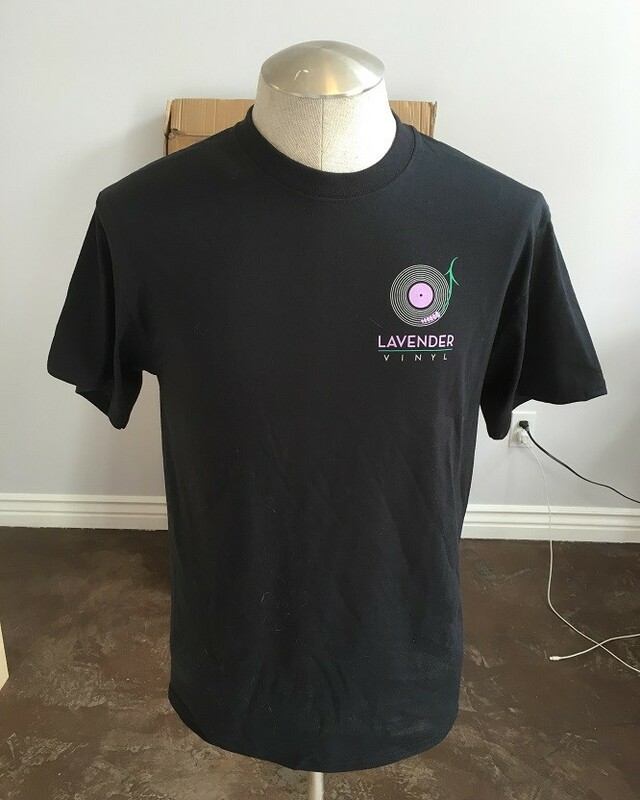 What can we expect from Lavender Vinyl over the rest of 2016? Blake: The rest of 2016, we hope to announce some in-store events that are currently in the works. We also want to invite everyone out to the farmers markets every Saturday for the rest of the summer, where we’re spinning sweet jams and hanging out. We’re working on our label as well, which will be coming to fruition sometime in late 2016 or early 2017. We encourage everyone to follow us, because we think that we’ve got some really exciting things in store.